Our front Range Rover oxygen sensor (Part # MHK100940) has been made specifically for use in Range Rover 4.0 and 4.6 1999 – 2002 and Freelander 2002 – 2004 model vehicles. Purchase with confidence knowing this high quality O2 sensor will fit your Rover without any splicing or manipulation necessary. Emissions parts are critical to your Rover operating economically, reducing emissions and maximizing fuel economy. With gas prices higher than ever, you cannot afford to drive around with old O2 sensors! Each Range Rover and Freelander requires four (4) oxygen sensors. Two of these sensors are mounted in front of the Rover’s catalytic converter and two behind it. The front O2 sensor – also known as the pre-cat sensor – measures the oxygen levels of gases as they exit the combustion chamber. The amount of fuel entering your engine is then adjusted based on the oxygen levels of your exhaust gas. Oxygen sensors become contaminated as they get older, reducing their ability to properly read and react to your vehicle’s O2/gas mixture. A sudden drop in fuel economy and a “check engine light” are common symptoms of a failed O2 sensor. We recommend replacing Range Rover and Freelander oxygen sensors every 60k miles. O2 sensors should be bought in pairs; two front sensors and two rear sensors. For Range Rover and Freelander rear sensors Click Here. Note: For Range Rovers with Bosch Engines. Not sure if you have a Bosch or a GEMS engine? Click Here! 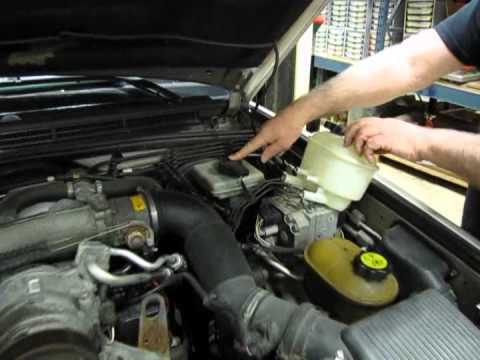 Atlantic British Ltd. Repair & Maintenance Academy How-To Video: Learn the differences between BOSCH and GEMS V8 engines found in Land Rover Discovery I, Discovery II and Range Rover models. Jim shows how to determine whether your Land Rover is equipped with an ACE suspension. The video also shows how to change a pollen filter on a Range Rover and highlights key vehicle components. Questions about this video? Call us at 1-800-533-2210 or contact us via live chat.